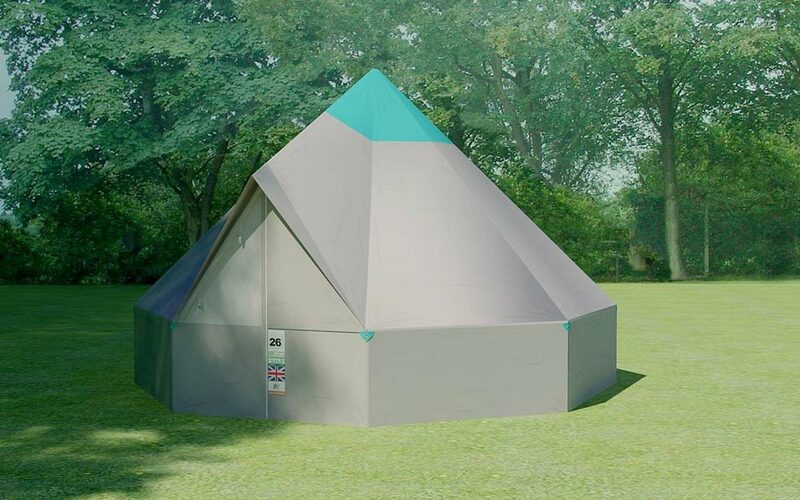 Produced exclusively for Glastonbury Festival by Yorkshire based BCT, this 4m diameter / 2.4m tall bell tent will give you all the fun of staying in a bell tent, without having to navigate guy ropes, or a central pole. It also benefits from being fully lined with a cotton inner. 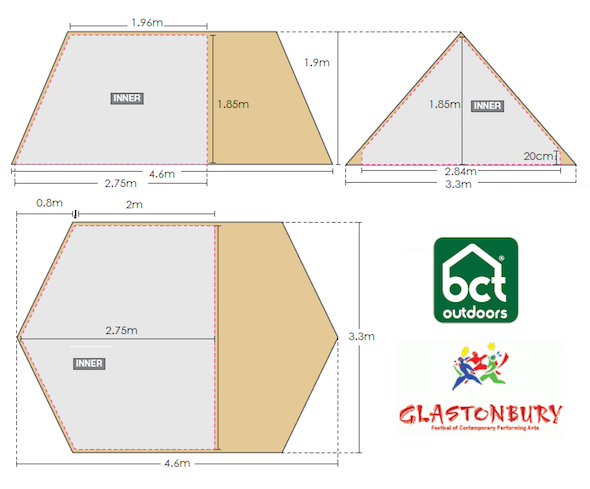 The traditional scout tent with a modern twist, these high-quality bespoke tents designed especially for Glastonbury Festival are custom-made in Yorkshire by BCT (makers of quality tents in the UK for over 100 years). Guaranteed to withstand the British elements, by combining the best of British steel framework with all-seasons fabric technology. 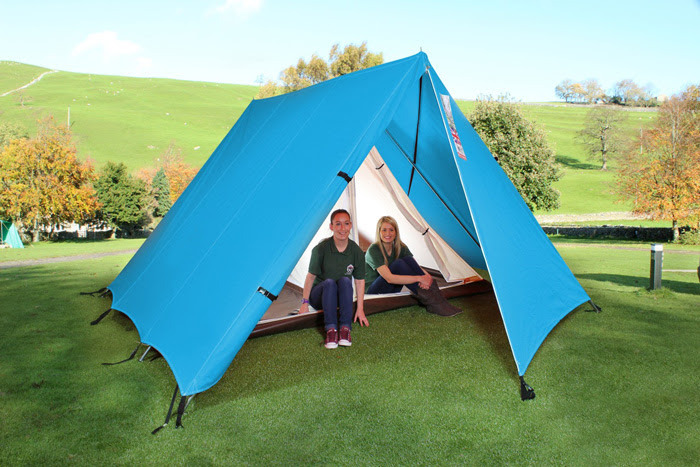 2 person pre-erected classic scout style tent £295 for 5 nights. 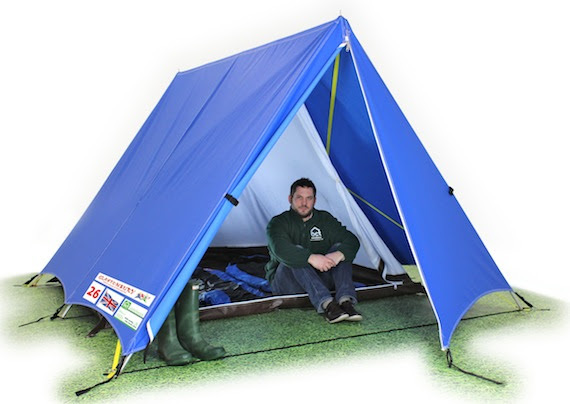 4 person pre erected classic scout style tent. £575 for 5 nights. 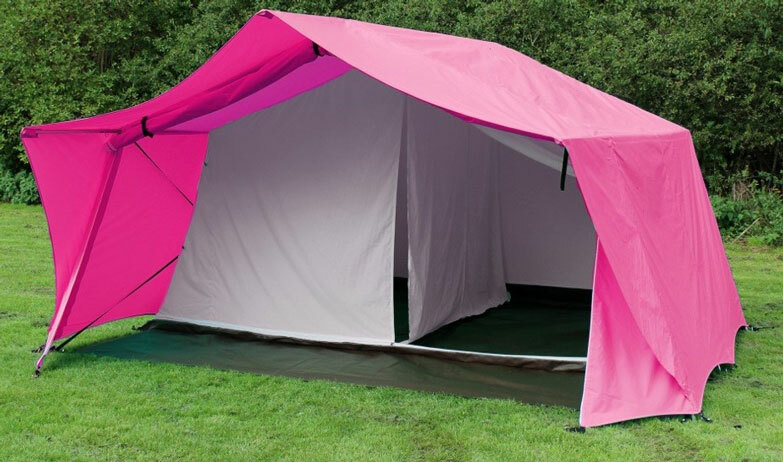 6 person pre-erected large classic scout style tent with two large bedrooms. £895 for 5 nights. 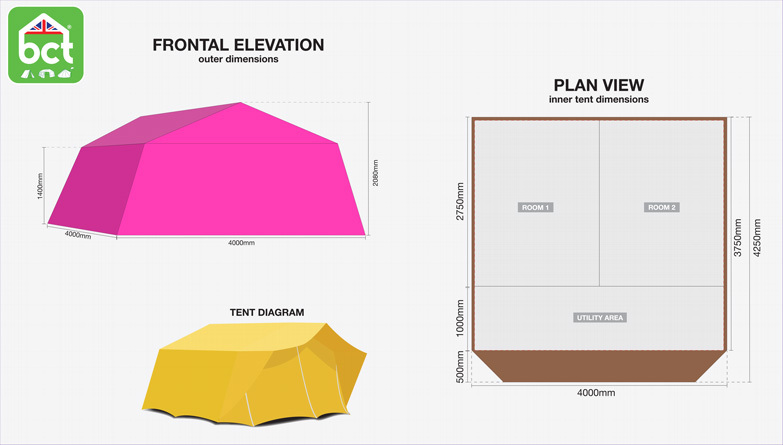 The 6 person model includes a retractable partition screen to enable Festival goers to choose between sharing one large bedroom (4m x 2.5m), or two spaces (of 2m x 2.5m). 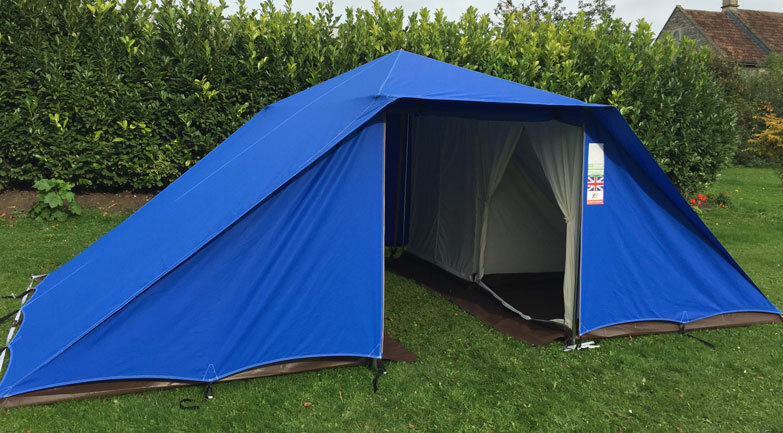 This tent is just over 2m tall in the centre; and features a utility area and porch canopy, to provide additional luggage and boot space. 8 person pre-erected large classic scout style tent, with 4 separate double bedrooms and a central utility area for boot and luggage storage. £1075 for 5 nights. Please note in order to keep Worthy View prices to a minimum all of the Podpad/Bunkpad/Octopad options are offered as a basic version of Podpads normal range, so they do not include solar lights/power. A small (2.4m x 1.8m x 1.57m tall) but perfectly formed lockable plywood structure. 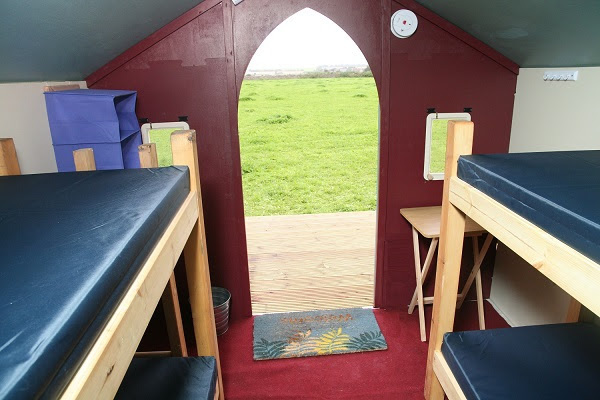 Weatherproof, with a solid carpeted floor and raised beds with inflated air mattresses, creating useful storage space underneath. 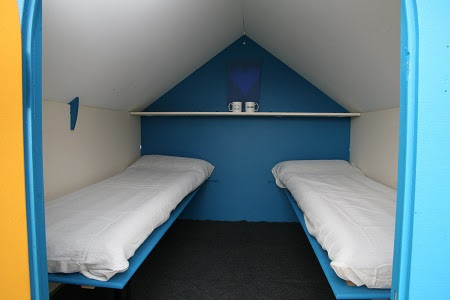 A lockable plywood structure (2.4m x 3m x 2.1m tall), with solid floor and covering it comes with 2 sets of hand built bunk beds, having slatted bases and foam mattresses. Four keys will be supplied for each unit. 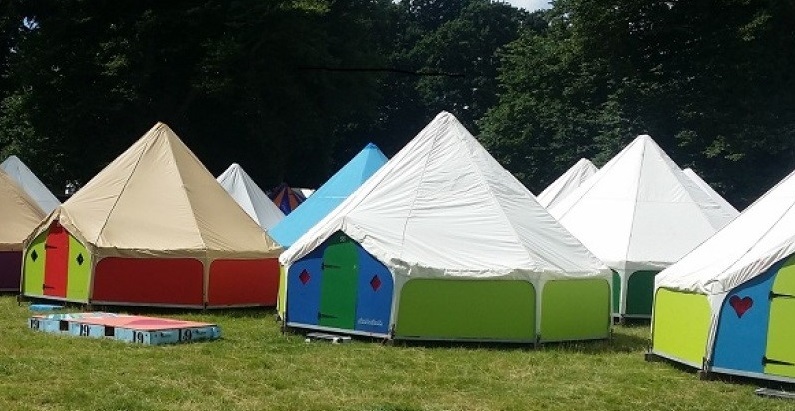 Brightly coloured stripy versions of the traditional strong canvas bell tents with heavy-duty waterproof groundsheet. 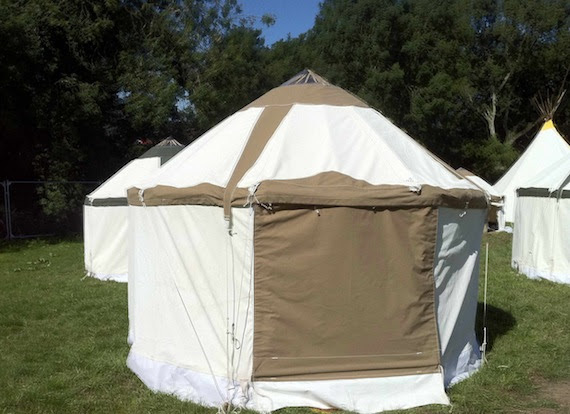 A spacious structure (5m diameter) with solid floor and walls, lockable door and 9’ high canvas roof fitted over tipi style poles. The ‘Octopad’ comes with 4 hand-built beds with foam mattresses and two additional foam mattresses for the 5th & 6th guests.. 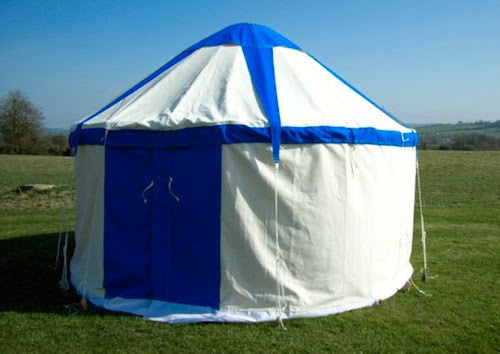 These unique and beautiful Mongolian style yurts, with groundsheets, offered unadorned, to keep prices to a minimum. 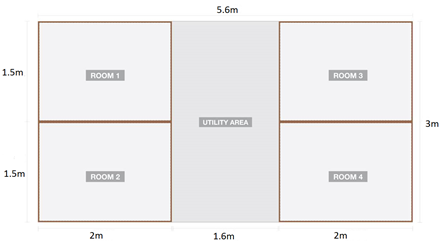 Options available for 2 – 4 people. All prices are inclusive of VAT. Prices do not include Festival tickets.